Super Nintendo World is officially a go at Universal Studios Japan as the park kicked off construction with a colorful ceremony, raining down coins to commemorate the occasion. The park announced the Super Mario themed expansion is set to open ahead of the 2020 Tokyo Olympics. 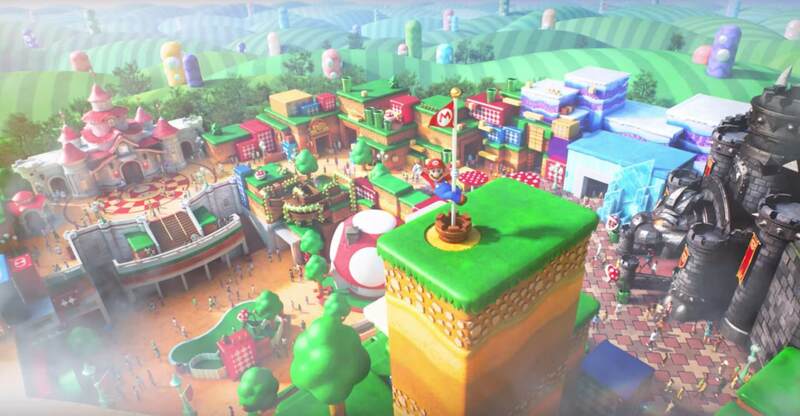 A promotional video debuted at the event, featuring Mario running through a rendering of the new land alongside live guests. It ends with an overview of the layout of the land. In attendance at the groundbreaking event were Mario himself, alongside Universal Creative’s Mark Woodbury, and Nintendo’s Shigeru Miyamoto. Assuming the rendering in the video accurately represents how Super Nintendo World will look, there are a lot of fun details to be found within. From the very beginning, guests will pass through an iconic green pipe, warping them into the Mushroom Kingdom. But before stepping inside, guests will have a chance to hit what begins every great Nintendo game: the Start button. Inside, Mario will no doubt be meeting-and-greeting with guests (who are VERY excited to see him in the video). The colorful Mushroom Kingdom looks as if it jumped right out of the Nintendo console, featuring multiple layers of grass-covered platforms. 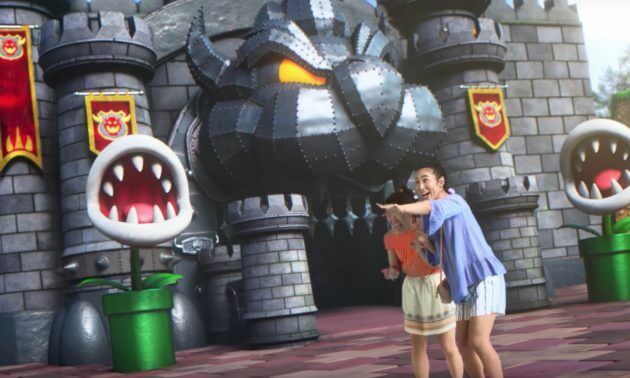 The castle of Bowser, King of the Koopa, will be a huge part of Super Nintendo Land, with a menacing entrance shaped like King Koopa’s head, flanked by huge Piranha Plants. While the entirety of Super Nintendo World is not visible in the final shot of the video, there’s enough to see that it’s quite the sprawling area, with plenty of areas to duck inside. Floating platforms and question mark blocks are among the area’s instantly recognizable details from the video game series. 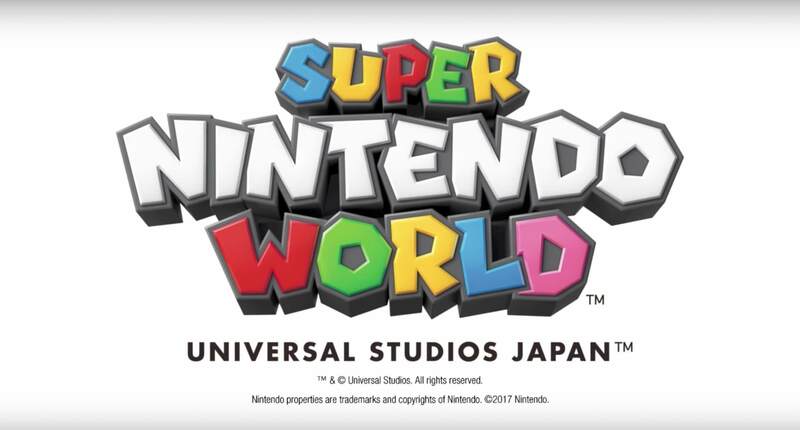 Super Nintendo World will also, eventually, arrive at Universal Studios Hollywood and Universal Orlando after the initial land opens in Japan. Visit Universal Studios Japan’s website for more details.